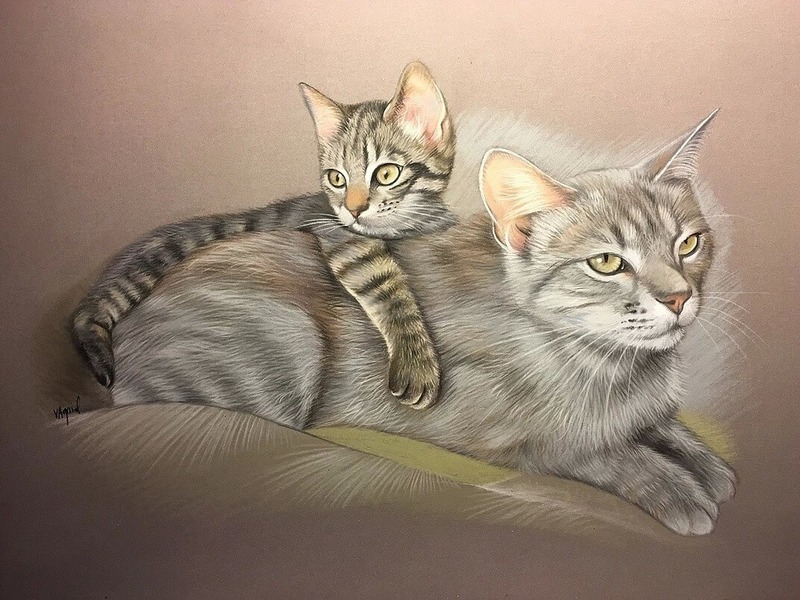 Great drawings with warm backgrounds, that make these lovely animals, look even more adorable. 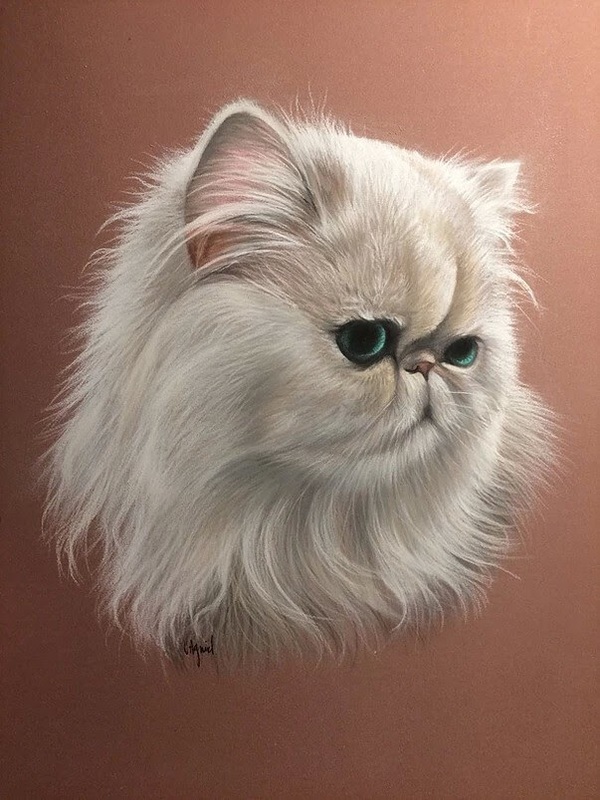 French artist Virginie Agniel, grew up surrounded by animals, she had a passion for them and for drawing everything she saw. 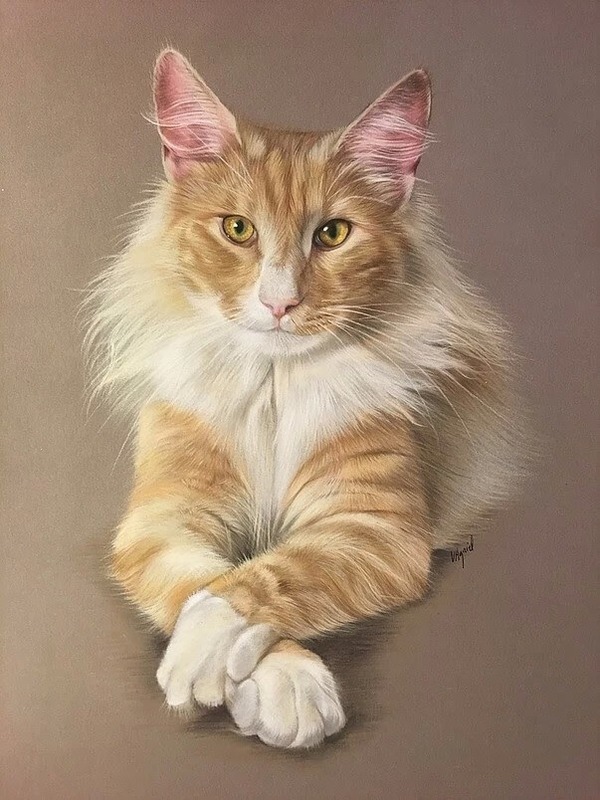 Agniel went to art school, but then, art took a back seat to life's twists and turns. 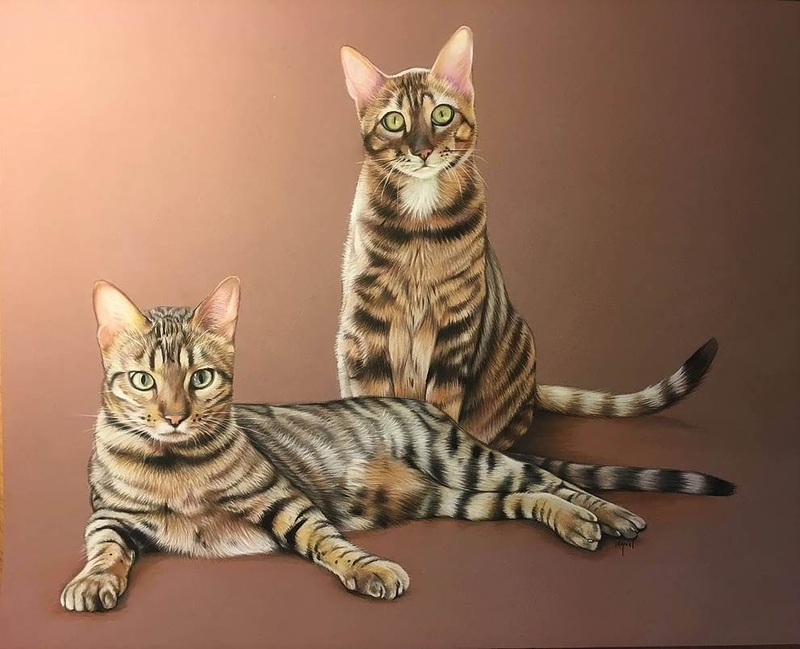 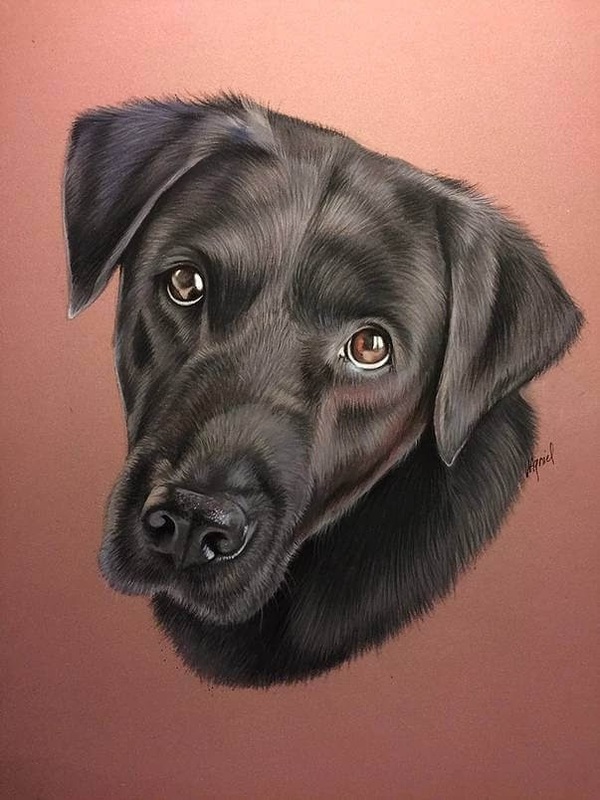 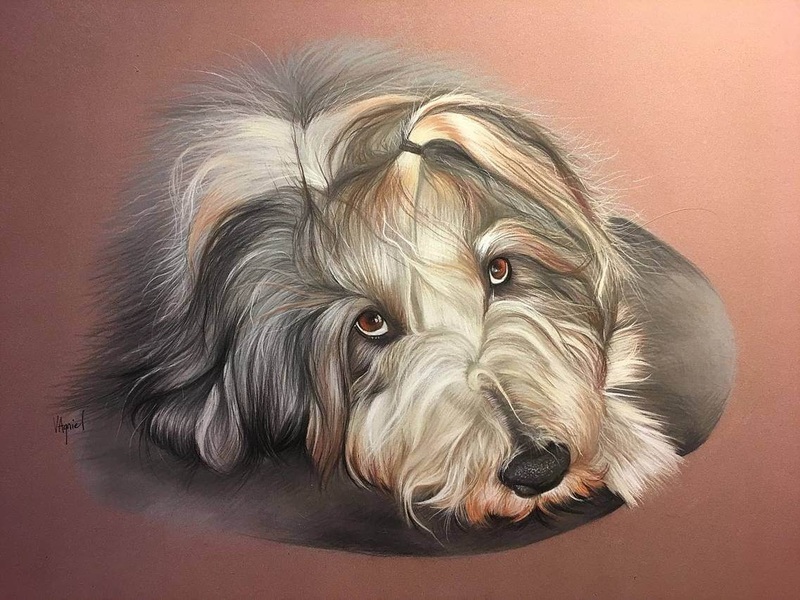 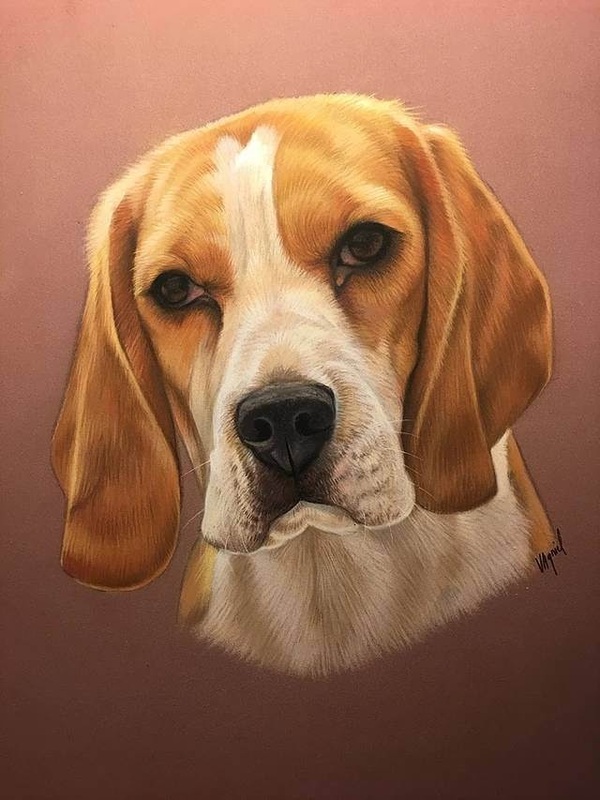 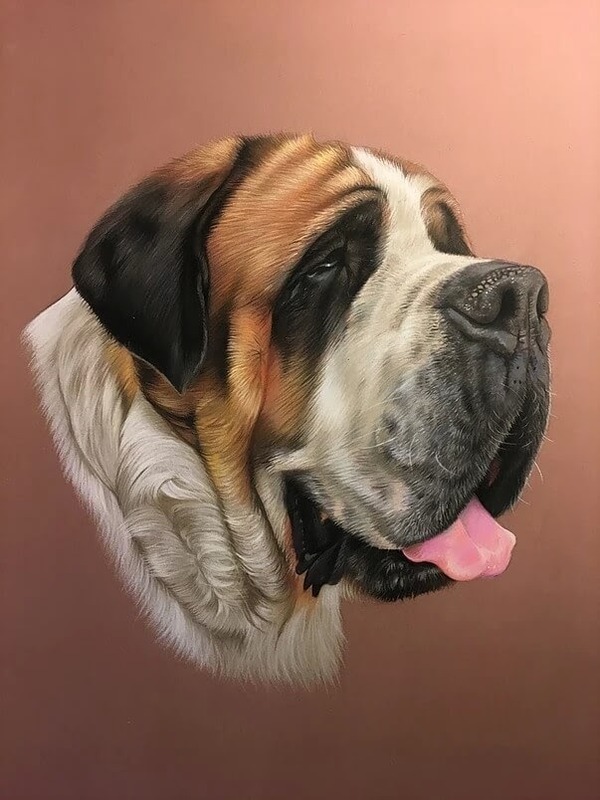 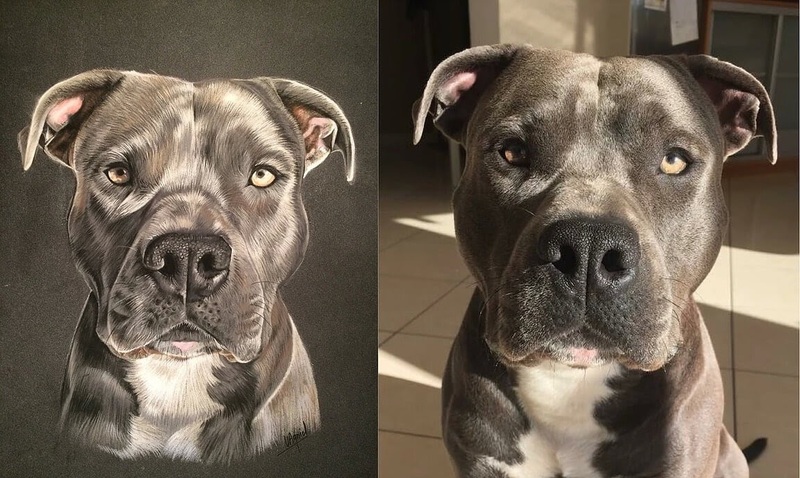 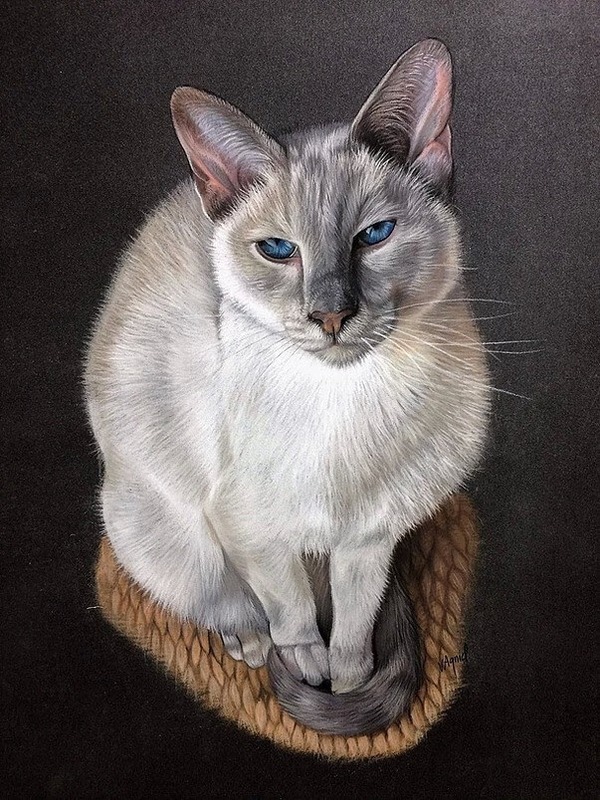 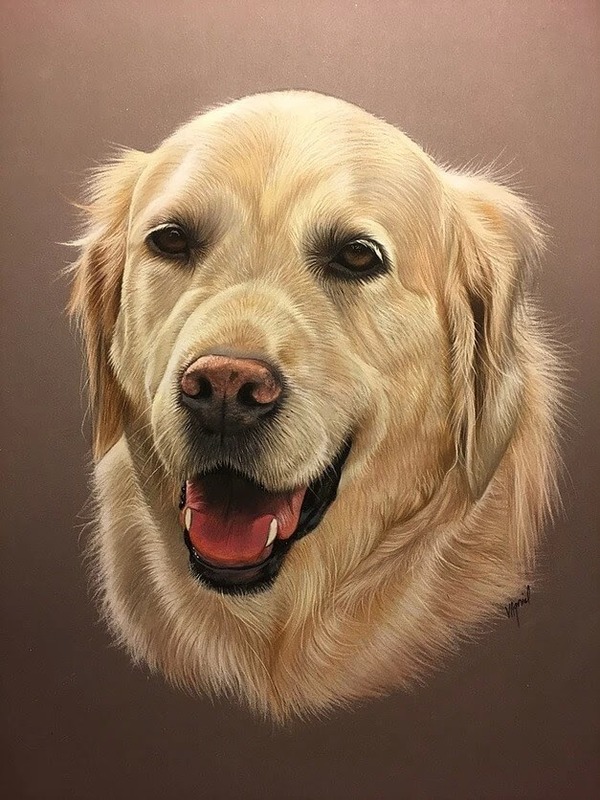 Two years ago and thanks to the support she received on her Facebook page, she stated drawing again and now creates realistic portraits of any kind of pet and human family portraits. 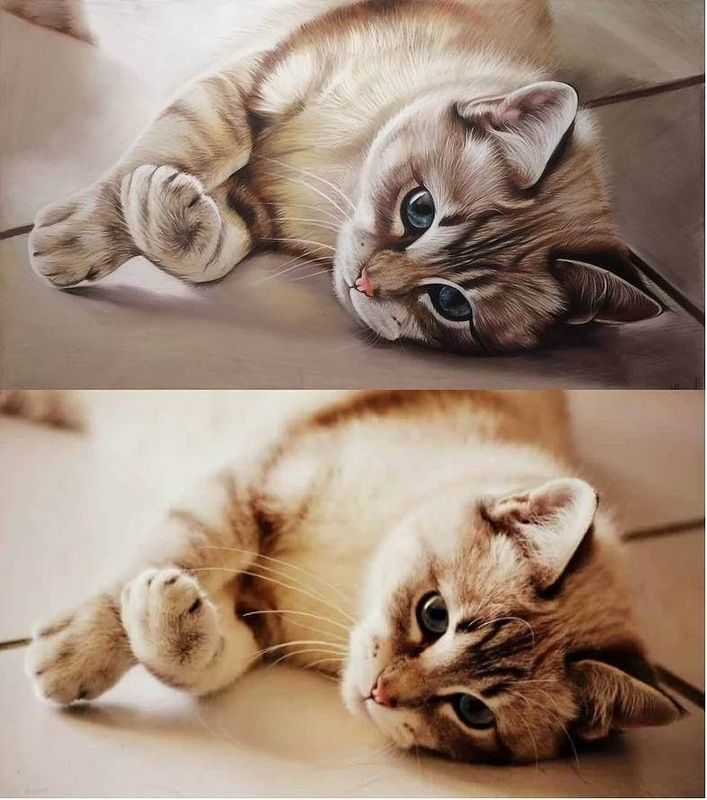 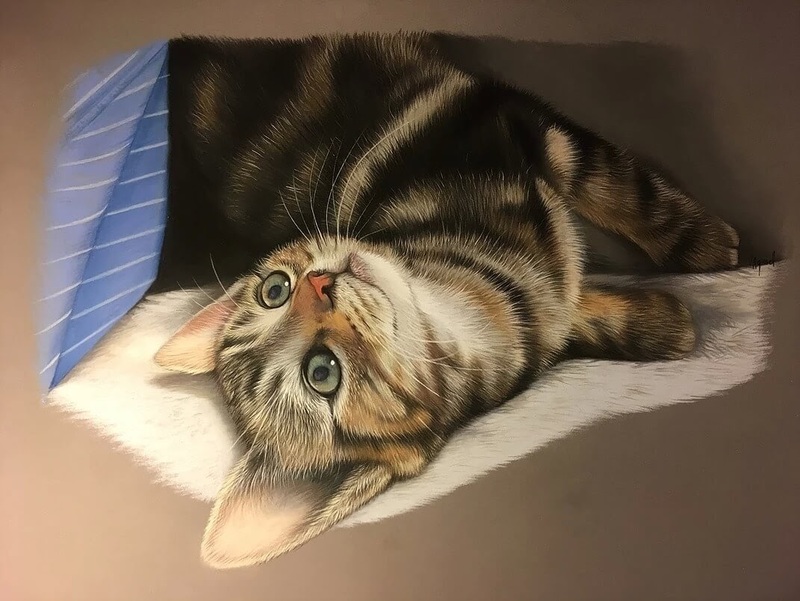 Right at the bottom of the post you will see two pictures, for dogs and cats, comparing the drawing, to the photo of the pet they were inspired by. 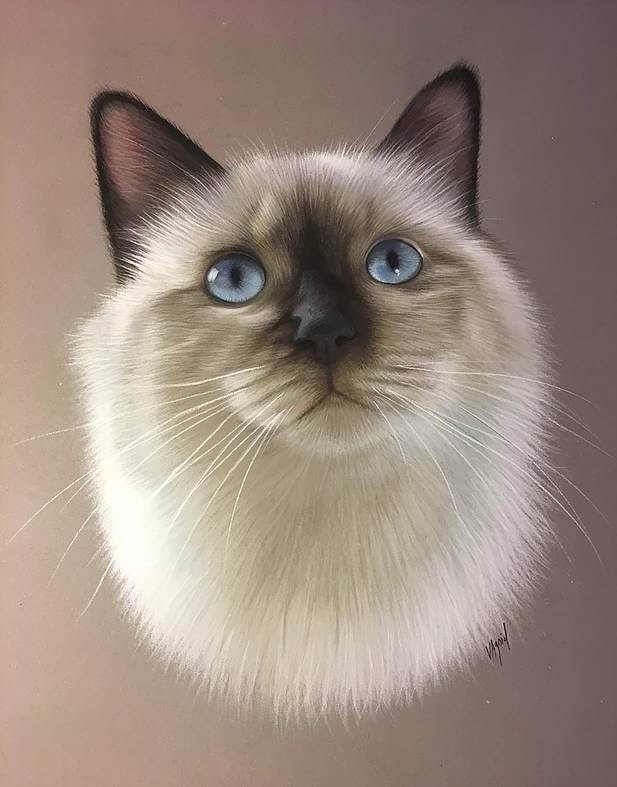 Birman - Sacred Cat of Burma.